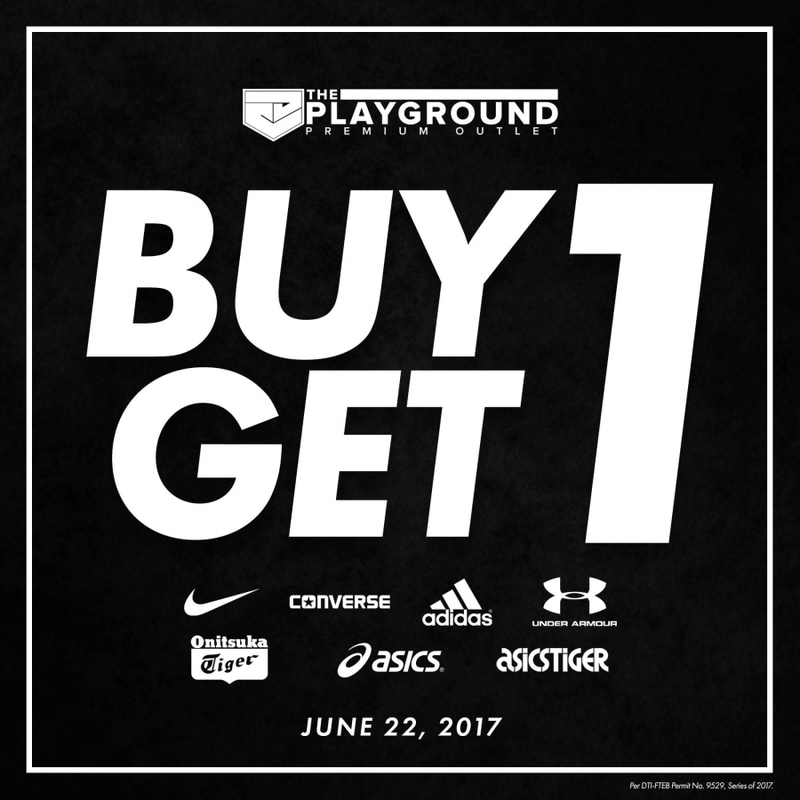 Don’t miss the BUY 1 TAKE 1 PROMO at The Playground Premium Outlet this THURSDAY! 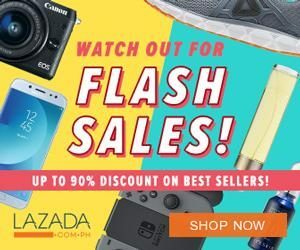 Treat yourself once again with an excellent display of top branded footwear. 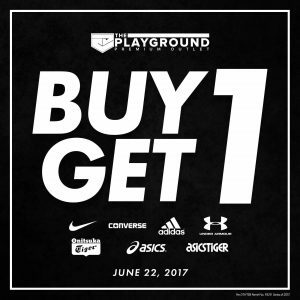 The Buy 1 Take 1 promo at The Playground Premium Outlet is an anniversary that you should not miss. They have top-of-the-line gears that are up for grabs ONLY this Thursday. 2. The promo is open to all customers of The Playground Premium Outlet. 4. Reservations are not accepted. Per DTI-FTEB Permit No. 9529, Series of 2017. Visit their Facebook Page for more updates on other anniversary promo.